(Indian Ocean Observatory) - Sometimes in 2007 Seychelles President James Michel spoke about the ‘blue economy’. At the time few took notice of what this was all about. To many this was simply a fad in the same fashion as the trending “green economy”. But events in the last three years illustrate what appears to be the centerpiece of Victoria’s foreign policy. The 2012 successful hosting of the Madagascar political deadlock between President’s Andry Rajoelina and Marc Ravalomanana in the now famous “Desroches Island Talks” in the South African Development Cooperation (SADC) sanctioned peace negotiations seems to have given Seychelles a new impetus on the world stage. While the two Desroches meetings facilitated the stabilization of Madagascar and peaceful transfer of power in Antananarivo, it redefined Seychelles’ bargaining chips and acumen. Addressing the African Union’s (AU) golden Jubilee summit in mid May 2013 President Michel pushed for a relook of oceans as one of the economic levers in Africa’s development agenda. “We cannot speak of transforming African ownership of the economy unless we are prepared to seriously look at our oceans.” President Michel said. This is when the message began to seep out on the real significance that Seychelles was pushing. The success of the Indian Ocean island nation’s lobbying saw the AU taking an unprecedented step by including oceans in the scope of thematic sectors identified to transform the continent’s future economic fortunes as defined in AU’s Agenda 2063. The ‘blue economy’ is now being viewed as a priority and Victoria is not relenting in its diplomatic offensive seeking to build a critical mass among governments, civil societies and the public. 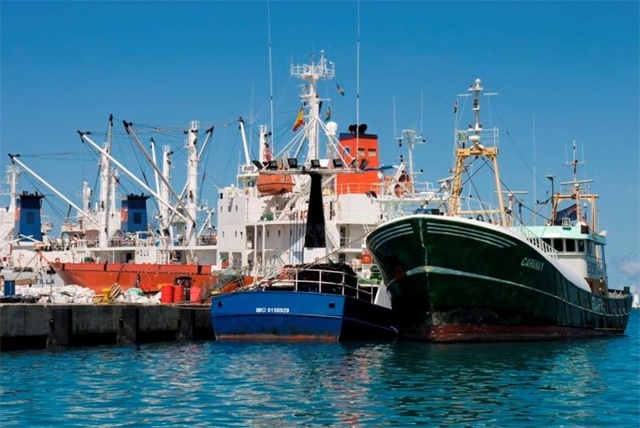 The Victoria government is keen to win over its western Indian Ocean neighbours with an aim of mainstreaming the sea by incorporating their respective exclusive economic zones (EEZ) in their economies. Illegal, unreported and unregulated fisheries, toxic dumping, pollution, sea level rise, climate change and ocean acidification are all issues that Seychelles sees as threats to a viable blue economy. Dr Nirmal Shah who heads the environmental non-governmental organization Nature Seychelles and a leading maritime conservation advocate in the western Indian Ocean wants the blue economy talk to be enhanced and to be more than a catch word. The blue economy is not restricted to fisheries, sun-kissed sandy beaches for tourists, efficient ports and maritime sea lanes alone. It looks at the sea with what appears to be a holistic view. The blue economy message is much broader according to Victoria’s definition both as an environmental belt and economic enabler. Known reserves of oil, gas, polymetallic sulphides, nodules and marine genetic resources are all included in the conversation. In January this year Seychelles and the United Arab Emirates jointly co-hosted the Blue Economy summit in Abu Dhabi. At the meeting Michel described the empowerment of coastal communities, their engagement and inclusion as the hallmarks defining the effective implementation of the blue economy. At the US-Africa summit held in August in Washington; the Samoa UN Conference on Small Island Developing States held in early September and the latest UN climate change summit in Washington, Michel’s blue economy message remained constant calling for an ocean based development paradigm. Though classified as a small island state Seychelles’ blue economy diplomatic charm is turning out to be an idea whose novelty and timing are gaining currency among the global community of nations.